The Community Self Build Agency is an organisation aimed at helping a range of people in housing need, to build their own homes. The trustees approached us to profile the charity with a strong and reassuring online presence that would help attract further funding and interest. We kicked off this web project by designing a site that was both clean and professional. 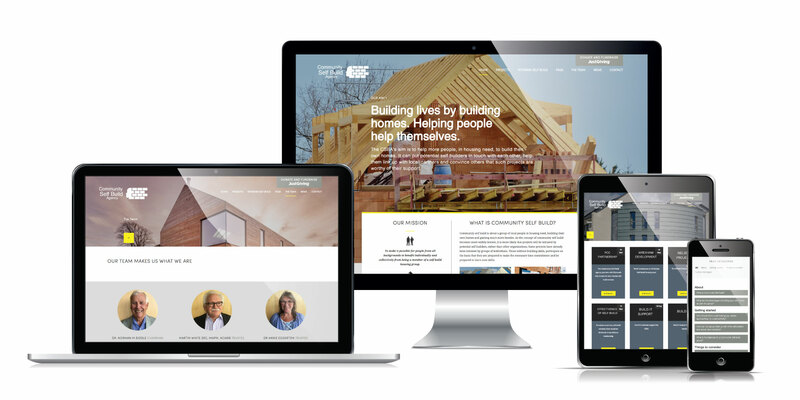 The navigation was simple to ensure a user-friendly experience and the creation of a projects page helped to showcase the amazing work the charity achieves. An FAQ page aimed to answer questions from fundraisers, investors and those in need of housing support. The CSBA were provided with a fresh design that perfectly fit the brief and helped to profile the people and success stories at the core of the agency. The website build will allow our client to reach a wider audience and attract additional funding for future projects.